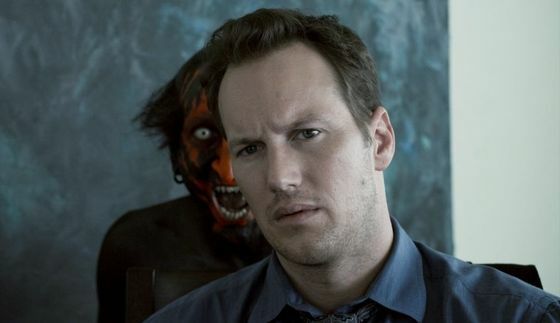 Three days after the sequel to ‘Insidious‘ is released for theatrical viewing, which continues the saga of the haunted Lambert family, Blumhouse Productions, Entertainment One, FilmDistrict, and Sony announced a third installment to the hit horror film that took the genre by storm in 2010. Screenwriter Leigh Whannell will lend his writing skills once more. This time without the direction of longtime collaborator James Wan. Wan just began filming Universal’s ‘Fast & Furious 7‘. Rose Byrne, who played the wonderfully snarky Helen in ‘Bridesmaids‘; Lin Shaye, who played the Donnie and Marie loving, chain smoking mother of Jam in ‘Detroit Rock City‘; Ty Simpkins, the kid that brought the feels to ‘Iron Man 3‘ in a bit part; and Barbara Hershey whom I will always and forever associate with the lesbian ‘Footloose‘ craziness that was ‘Black Swan‘. If ‘Insidious 2‘ is as successful as the first film, I look for them to leave more than a door open for further trips to the Insidious wheel house. OK, so maybe it will be a door but big enough to drive a Mack truck through. Note that ‘Insidious 2‘ has already made over $42 million in under four days, so yes, prettay prettay prettay pretty successful. ‘Insidious: Chapter 4’ Will Scare You Stupid In 2017!!! Short Snap Film Review: ‘Insidious 2’!! This entry was posted on Monday, September 16th, 2013 at 7:32 pm	and is filed under Film, News. You can follow any responses to this entry through the RSS 2.0 feed. You can skip to the end and leave a response. Pinging is currently not allowed. « Christian Serratos Joins ‘The Walking Dead’!!! You're so white! Have you ever seen a guy so white, Marge? Grey, actually. That's funny. Margie likes that 'cause she's so white too. Yes, I do and you're not funny.